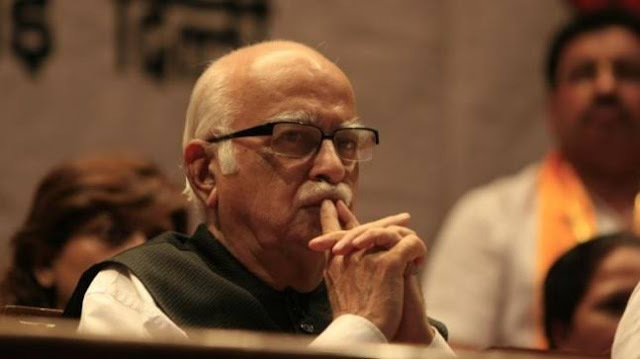 In a sharply-worded critique of those at the top leadership in the BJP, party stalwart LK Advani, who has been "disowned" by his junior colleagues, has said that the party's conception of Indian nationalism "never regarded those who disagree ... politically as anti-national”. The comment comes amidst efforts by Prime Minister Narendra Modi and BJP chief Amit Shah to paint the opposition, especially the Congress, during the current Lok Sabha poll campaign as anti-national. In a blog he released ahead of the BJP's foundation day, April 6, Advani insists, "The party has been committed to freedom of choice of every citizen at personal as well as political level." He adds, "The essence of Indian democracy is respect for diversity and freedom of expression. Right from its inception, the BJP has never regarded those who disagree with us politically as our enemies, but only as our adversaries." Advani says, "The guiding principle of my life has been ‘Nation First, Party Next, Self Last'," claiming, "And in all situations, I have tried to adhere to this principle and will continue to do so." He continues, "Defense of democracy and democratic traditions, both within the party and in the larger national setting,has been the proud hallmark of the BJP", contending , "BJP has always been in the forefront of demanding protection of independence, integrity, fairness and robustness of all our democratic institutions, including the media." Recalling that the "heroic struggle against the Emergency rule" was meant to uphold India's democratic values, he says, "All of us should collectively strive to strengthen the democratic edifice of India." According to him, "True, elections are a festival of democracy. But they are also an occasion for honest introspection by all the stakeholders in Indian democracy – political parties, mass media, authorities conducting the election process and, above all, the electorate."